Saxon Brown’s winemaker, Jeff Gaffner, began his career at Chateau St. Jean, under the tutelage of renowned vintner Richard Arrowood, who Jeff credits with teaching him the importance of being as passionate about growing the grapes as making the wine. While at Chateau St. Jean, Jeff was part of the winemaking team responsible for the winery’s celebrated 1996 Cinq Cepages, which was named Wine of the Year by Wine Spectator Magazine. Jeff launched Saxon Brown to focus on small single vineyard bottlings reflecting his preference for elegantly structured, well balanced and age worthy wines. In addition to Saxon Brown, Jeff enjoys critical acclaim as consulting winemaker for artisan labels including Xtant (Napa Valley), Stephanie by Hestan (Napa Valley), Black Kite Cellars (Anderson Valley) and Ram’s Gate Winery (Carneros). Sustainably farmed, the Saxon Brown PInot Noir 2013, Rosella’sVineyard, Santa Lucia Hioghlands is “deep and detailed with very pure, ripe cherry fruit, neatly placed oak and hints of dried flowers in the nose. Inviting flavors build on its aromas, very well-constructed, at once succulent and sleek with the balance and fruity stamina of a wine destined to age famously. Tasty now. A carefully made Pinot Noir.” Connoisserur’s Guide 91 Points. “Another terrifric wine. A beautifully textured and forward style.” Wine Advocate 91 Points. Blended 50% of the infamous Pisoni Clone for the wild, exotic and slow-revealing elements, and 50% of the baked cherry 777 clone. It shows flowers, spice, tobacco and a dark, brooding palate. Only 226 cases made. French Soul, Oregon Soil. That's how Domaine Drouhin characterizes itselt. 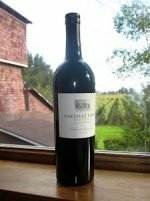 Their estate winery in the Dundee Hills of Oregon, creates elegant, fine Pinot Noir and Chardonnay wines forged from the family's tradition of fine winemaking in France. Named after Véronique Drouhin's elder daughter, Laurène is their flagship wine, and is produced entirely from Pinot Noir grown on the family's estate in the Dundee Hills.In recent years, Laurène has been named one of the “Great Wines of America” by Paul Lukacs in his book of the same name and “perennially one of Oregon's best wines” by Portland Monthly Magazine. The 2015 Laurène is an essay in balance. Its color is both brilliant red and deep ruby. The nose is baked fig, rhubarb and pomegranate. On the palate, the texture is both light & viscous, with mouth coating tannins, and flavors of spice & ripe raspberries with a touch of tartness. 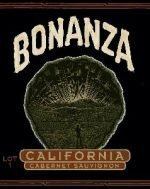 The exceptionally long finish leaves you with sweet, lush fruit & wonderfully bright layers. While intensely woven now, a couple years of cellaring, or decanting, will reveal silk, elegance and an expressive depth of texture. Enjoy now, and over the next 8-10 years. Duck Pond’s Delaney vineyard is located in the cooler Willamette Valley AVA and is planted with the traditional pommard clone. 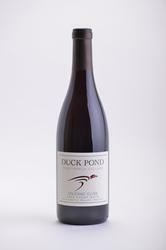 Complex and intense, the Duck Pond PInot Noir 2016, Delaney Vineyard entices with aromas of cherry, berry, spice, milk chocolate overlaid on subtle floral and mineral notes. 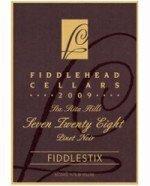 Dry, medium bodied, the texture is silky and lively, the red fruit paired with vanilla and light toast through the extended finish. Stylish and well balanced.Pair with mushroom risotto, lamb chops, barbecued ribs or chicken, grilled salmon. Duck Pond has partnered with Oregon Department of Fish and Wildlife, whose mission is protecting and enhancing Oregon’s fish and wildlife and their habitats for use and enjoyment by present and future generations.